Even if you're an iPhone developer veteran with one or more apps currently available in the App Store, you can still do a lot to increase exposure and sales for those apps. You've already invested valuable development time and money to get to this point, so it'd be a shame to give up now Take the time to work through all the chapters in the order they're presented. You may be surprised by the tips you pick up along the way that can help even older apps that have been stagnating for months in the App Store. Everyone is searching for ideas to build the next winning iPhone or iPad app. While there is no single formula for building a successful-selling iPhone or iPad app, there are a number of things that can and must be done to achieve success. Without covering the basics, your app is likely to languish on the App Store with minimal sales. There have been some very good apps posted to the App Store that have not sold as well as they should have, and this is usually because not much marketing has been applied to the project. Unless you stage a large event to launch your app and get it started with strong momentum or your app gets picked up by Apple on the home page of the App Store, you may find yourself in this situation. Features are descriptions of your iPhone iPad app (for example, four levels, realtime, easy user interface, works offline and online, and so on). When you review your app against the competition you'll want to look at all of the quantifiable features that the other apps offer as compared to your own. You can use Table 3.1 at the end of this chapter to build a comparative list. Utility applications on the App Store, such as financial calculators and other scientific apps tend to lean towards feature descriptions in their product descriptions. Feature descriptions on the App Store work best when they are in a bulleted list so that the buyer can quickly scan the list for what they are looking for. Keep the list short and relevant. Long lists get ignored, but a short list of features (five to ten) items will get read more readily. An example of an app with a feature list is shown in Figure 3.9. Your app icon and screenshots are often the first visual elements users see in the App Store when evaluating your app. A bad first impression can cost you sales and invite negative reviews, so fine-tuning your app's design is a critical component to success. In this chapter, I'll reveal some useful tips for prototyping, creating eye-catching app icons, designing intuitive user interfaces, and turning your app into a social marketing powerhouse. Predicted to be a major player in the mobile space, Google's widely successful AdSense program definitely has a massive inventory of existing advertisers to offer. Its mobile AdSense platform was currently in beta at the time of this writing, but for those of you interested, you can sign up for it online. With Google AdSense ads already showing up in AdWhirl and Mobclix's network exchanges, as well as directly integrated within a few select, high-profile iPhone apps, Google AdSense for Mobile Applications may be out of beta and officially launched by the time you read this book. And with Google's November 2009 announcement to acquire AdMob, you can expect Google's presence in the mobile advertising world to continue growing at an exponential rate. Perhaps the most popular question ever asked about marketing an iPhone iPad app is How do I get my app in the top 100 for my category Developers know that if they can get their app into the top 100, they are certain to see massive numbers of downloads and huge sales volume. 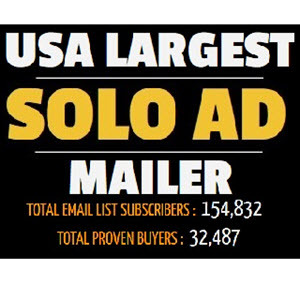 This accurate assumption was described as hitting the grand slam in Chapter 1, Your iPhone and iPad App Marketing Strategy Grand Slam or Base Hits Being in the top 100 in app sales is the Holy Grail for iPhone iPad app developers. Carefully choose the name of your app and think about keywords that you might be able to use in your app's name that will be common to users searching the App Store. Descriptive words such as Easy, Fun, Fast, and Exciting are all common terms used in searches. If your app has these types of words, your app is more likely to show up in the search results at the top of the list. Apple keeps upping the quality of the App Store search engine. When the store was initially launched, the search capabilities were fairly primitive. But with each release of the iTunes client, the search capability seems to improve. They are becoming sophisticated in properly identifying the right apps for the search terms entered. app. It is widely believed that the more keywords you use in your App Store copy, the higher you'll appear in the search rankings. Don't overdo it, but a generous use of keywords can't hurt. This book can benefit not only the people who want to sell their own apps in the App Store but also consultants who develop iPhone apps for third-party companies. You're being hired for your expertise, so anything you can do to help your clients succeed in the App Store will serve to strengthen your worth to them. The success of your clients directly affects the success of your relationship with them. Add this book's business solutions to your existing toolbox so that you can prove to be an indispensable superhero for all your clients' iPhone app needs. Prospective customers often browse within the top apps categories listed in the App Store categories, such as What's Hot and New and Noteworthy, using their computer or directly from their iPhone. Your app's ranking is determined by the number of downloads the more downloads, the more likely you are to get into the Top 100 categories. It does take several thousand downloads per day to take a spot in the Top 100 category. As we've mentioned before, select a clever and unique app name so that buyers will remember the name and pass it along to others. Having a unique app name for games is crucial to your success, while having an easy-to-remember name for nongame apps will help you when people search for apps via Google or Yahoo . You should routinely check the App Store to determine what others are doing in terms of their positioning and messaging. For more information, see Chapter 5, Building Your App's Total Message. After learning the configuration process for ad hoc distribution (detailed in Chapter 7), you'll be happy to know that compiling your iPhone app for distribution in the App Store is almost the same process. The only difference is the provisioning profile you assign to your application in Xcode. Finished beta-testing and tweaking your app Ready to compile the master version for the App Store Here's a rundown of the steps to prepare the application binary that you'll upload to iTunes Connect. We would argue that most companies are a good fit for creating an iPhone iPad app to either promote their brand or extend existing services to their customers. However, this advice comes with a few caveats. It's more a question of if the company has the resources and wherewithal to keep the app relevant and significant in the eyes of the customer. For example, a company selling paint might devise a color palette that shows pictures of rooms and walls with any paint color that you select. The paint samples could include an entire inventory of the company's paints and color recommendations. Sherwin William Paint Co. has a similar app (ColorSnap) on the App Store that allows you to snap a photo of something and compare the color to their inventory of paint colors. Not to be outdone, Benjamin Moore has the same type of app available on the App Store for free as well. Mark Johnson has been building and selling iPhone apps full-time since the App Store opened he splits his time between running an iPhone consulting practice in San Francisco and publishing his own apps. He has nine diverse apps in the App Store including free, paid, ad supported, and an affiliate sales app. Mark has 15 years of experience developing software but is now a rabid student of marketing and believes that it doesn't matter how cool or useful your idea for an app is if you don't know how to market it, then it's a bad idea. The App Store is not a perfect democratic society and never will be. No matter how many changes Apple makes to the App Store, there will always be unhappy participants. So, you can whine about what's wrong or you can figure out how to work the system to your best advantage. Table 1.2 illustrates the advantages and disadvantages of the Big Win strategy. The App Store is not for the faint of heart. Table 1.3 shows the advantages and disadvantages of the Steady Win strategy. Again, it's more likely you'll end up in this category than the Big Win. If you haven't started developing your iPhone iPad app, you are at an important decision-making point. Making a strategy decision now will help you make important marketing decisions as you get closer to launch. Having clear (and realistic) expectations of where your app will be positioned on the App Store gives your app purpose and will help your avoid the No Win bucket. Now, I'm not going to direct any criticism toward any specific apps here. Nor am I going to reveal which apps received negative customer reviews. The goal of this book is to help developers make more money with their iPhone apps, so I don't want to unintentionally make it any harder for them by pointing out their weaknesses. You can easily see for yourself which apps are receiving poor ratings in the App Store. So, for the purpose for this example, I'll give you a general look at customer reviews as a gauge of what some of these apps are doing right and wrong without naming any names. Let's dive in. Having multiple differentiators defined, along with a loose road map of new features you plan on adding to future versions, will help keep your app relevant and competitive. For example, earlier versions of the iPhone OS did not support a landscape keyboard in Mail, Notes, and Messages. To satisfy the demand for easier two-thumb typing, a slew of wide keyboard apps flooded the App Store, offering the ability to type emails and notes in landscape mode. Many of those apps were one-trick ponies with the landscape keyboard being their only key selling point. When iPhone OS 3.0 added landscape keyboard support to Mail, Notes, and other built-in Apple apps, it instantly invalidated the usefulness of many of those one-function apps. The ones that survived were the apps that still had something unique to offer, such as syncing notes with Google Docs, organizing notes into groups, posting notes to Twitter, and so on. Figure 3.10 App Store product reviews tend to lean toward how the buyer feels about an app in terms of its benefits. Figure 3.10 App Store product reviews tend to lean toward how the buyer feels about an app in terms of its benefits. 1. Which words or phrases best describe what your iPhone iPad app offers your customers As an example, we are going to be selling an educational app on the App Store. We are in the design stages of our app and want to make sure that we are producing an app that is unique in the market. We need to determine the app's unique qualities so that our message is strong and clear to our buyer. We have created the following responses to each of these questions. The application in our example is an education assistant geared to high school students to help them prepare for their SAT. An effective iPhone iPad app name can help increase your sales because the buyer does not have to invest as much effort to understand what your app does. The more You can use several words in your app name to be creative and also describe what the app does. For example, if you have written a calorie counting app, you could call it something like Melt Away Pounds (Calorie Counter). From the name you immediately understand what the app does. Figure 5.4 shows an example of an app that combines a clever name with a description of what the app does. Notice that the icon along with the title gives you an immediate impression of the app's purpose. I know instantly that the app is educational and directed to a young audience. This type of naming works very well on the App Store for educational and utility-focused apps. Your end user license agreement is the document that governs your relationship with your users. Among other things, it grants your users the right to use your application and sets out any limitations you want to impose on how it can be used. Like any license agreement, your EULA can grant narrow or broad rights depending on your goals. Most app developers will want to grant users only a very narrow license that limits the users to just using your application, but not modifying or redistributing it. This model is to some extent baked in to the App Store, since Apple embeds technological restrictions on users' ability to share apps with others. Another great use of the icon is to post a promotion using part of the app. Let's say you've decided to have a 50 -off sale for a holiday weekend. You can modify the bottom of your icon or top-right left corner announcing your sale. Figure 5.13 gives you an example of using the icon to convey your message. This is a wise thing to do, and app sellers know that a buyer is skimming the App Store. If they see 50 off or a 24-hour sale, they will hopefully be inclined to click the icon to find out more. Your product website should be similar in look and feel to your App Store product page. A carryover between the two sites will help build buyer confidence in your app and that you are serious about your business. A sloppy website with broken links does not inspire confidence when a buyer is seeking more information about your apps. This does not mean that you have to spend a fortune on your site, but it must look clean and simple. This means that your home page should have graphics and showcase your app just like the App Store. For more information on the specifics of your website see Chapter 6, Electronic Word of Mouth. For now, let's focus on the website message. iPhone iPad apps can only be purchased from the iTunes App Store. So, the job of your app product website is not only to instruct and inform potential buyers but to persuade them to click over to the App Store and buy your app. According to web design experts, most web viewers scan web pages rather than read them word for word. If you adhere to certain web content principles, you're more likely to have success in keeping your visitors and convincing them to click over to the App Store Use bulleted lists just like on the App Store (such as this one, but not too long). Another meta tag enables users to launch your website as a standalone application, without using the Mobile Safari Browser. This essentially mimics the look of an app, so it is most valuable if you have application-like content on your website but you don't want to bother with selling or submitting the app. If you use this strategy, it is especially important to somehow encourage users to add your site or app to their home screens and then use it like an application. These types of applications may run a bit slower than traditional applications from the App Store because the resources are being downloaded in real time over the Internet instead of being preloaded on the phone. Still, they can be quite impressive. Creating an app icon for inclusion in your Xcode project seems like a no-brainer at this early stage in the game, but why design a logo now when the app hasn't even been developed yet Obviously, you'll want to have your logo ready to use on your app's official web site, as well as available for any prerelease publicity efforts you do, but the biggest reason to do it now is for trademark registration (as explained by Michael Schneider in Chapter 3). The trademark application and approval process can take several months, so if you plan on registering a trademark for your app logo, then it's best to start this ball rolling as soon as possible. If all goes well, you'll ideally have the trademark officially registered before your app is available in the App Store. Your strategy for obtaining reviews for your app should be to contact as many iPhone iPad app review sites as possible that are likely to review your app. Do not submit a nongame app to a game review site because it will simply get ignored. 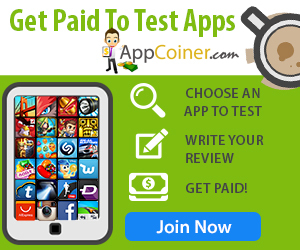 Seek out sites that give you the best chance for a review for your type of app. Utilize any and every contact you may have at these review sites to get your app noticed and reviewed. 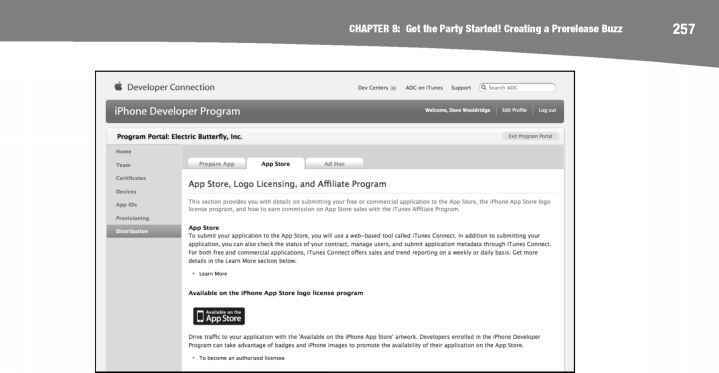 There are many possible avenues to obtain buyers for your iPhone iPad app. Utilizing the different sources outlined here will assist you in creating a large and targeted approach to leverage when rolling out your new iPhone iPad app. Here are a couple of other time tested realities as you deploy your demand generation plan People buy benefits, not features. But in the case of an iPhone iPad app, features matter. The longer you can keep someone reading your website or App Store description, the better your chances of success. This timesaving desktop application by Michel Fortin is a simple floating palette that allows you to test your iPhone app's interface in real time. Run your Xcode project in the iPhone Simulator while running the Sim Daltonism floating palette along one side. Select a color-deficiency type from the palette's menu, and then move your mouse pointer over the iPhone Simulator to see how your app's UI looks through color-deficient eyes in the palette window. If you find Sim Daltonism useful, then you're encouraged to support its continued development by making an online donation at Michel's web site. Users first see the content, or creative, for a mobile advertisement, which entices them to click through to visit your mobile website and download your mobile application or sign up for your mobile alerts. The creative can be text or display advertising, video, or animation. Regardless of the medium, the creative's only goal is to get people to click on the advertisement. But for now, let's focus on the current topic at hand using a free lite version to promote your paid application. As you already know from browsing the App Store, free lite versions are acceptable by Apple's app review team, but there are very strict rules that you should follow when developing your Lite app. Some developers have found success transferring data across a unique URL command. For example, if an iPhone app makes an open URL request for an HTTP web site address, Mobile Safari automatically launches and processes the request since it is the default app registered to handle HTTP. In a nutshell, your iPhone app just sent data to Mobile Safari. You can put this same concept to work for your own apps by setting up your own unique URL protocol handler. For this to work, it needs to be a prefix that is not already being used by any other application. Since you have no idea what unique protocols other iPhone apps might be using for this same purpose, you should come up with your own prefix that is obscure enough to prevent conflicts with those other apps. Everyone knows that in-app mobile advertising is the next great frontier with marketers racing to target that growing audience. At one time or another, we've all downloaded a few of the many free iPhone apps that display in-app advertising, and some of us have even tapped the ads. Based on current trends, research experts Gartner anticipate mobile ad spending to surpass 13 billion by 2013. But the big question is, can iPhone app developers make any money from it The answer depends on what kind of app you're building. Since app developers will go wherever they can get the highest price for their ad space, while advertisers will choose the ad networks with the most inventory and widest reach across the most mobile apps, Moblix definitely offers a very attractive package. Especially of interest to iPhone developers, Mobclix app analytics are integrated into its mobile ad exchange SDK, providing a very powerful all-in-one solution. Another major factor that has contributed to the success of Optime Software's apps is its heavy use of in-app cross-promotion. Upon launching one of its free apps, there is a splash screen that briefly appears. While the user is waiting for the app to load, the splash screen not only promotes the premium version of the free app they're using but also promotes all of Optime's other free apps (see Figure 5-9). Each app listed is a live link. Tapping the app names will take you to its respective page in the App Store so that you can learn more about the app and download it. Until third-party applications became widely available, all the mobile games were preloaded on the phone within the operating system. Now, roughly one-third of the downloadable mobile applications available are games, and more are being developed every day. Although it is not universally true, most mobile games are downloaded as applications rather than preloaded on the phone or run live from the Web. Mobile games provide marketers a unique opportunity for branded game development, product placement, and game sponsorship. Up-selling new products and upgrades is the lifeblood of the software industry. And developers are already translating this model to mobile platforms on a smaller scale. Microtransactions are the key to the mobile economy. The App Store takes that model to the next level by combining microtransactions with an extremely powerful software platform. But the App Store has its own unique buying culture one that introduces a new set of challenges that developers must overcome to sustain a long-term business. Don't forget the keywords in graphics, too. Be sure to think of appropriate keywords or phrases that you can use to describe your graphic. Always give your graphics a name that includes a keyword such as Main screen for the new Mega iPhone iPad App. If your online PR service allows you to write a longer description of the image, be sure to use this space (with keywords) to describe it. RasterBlaster is the creator of innovative educational games for the high school market. With its launch of RasterBlaster HS Math, the company now has five iPhone iPad apps to help high school students improve their grades and test scores. Founded in 2009, RasterBlaster has achieved outstanding success with two of its apps making it onto the App Store's New and Noteworthy category. RasterBlaster can be reach at www. rasterblaster.com. If you should be contacted about your press release, this is a good thing. Most iPhone iPad app press releases don't attract a lot of questions, but if yours does, that's a good thing If your press release is timely and relevant to world events then you are much more likely to receive requests for more information from the media. Answer the questions of those that make a query, and they will help you spread the word about your app. Be ready to send your interested media screen shots, photos, and even promo codes of your app. After clicking that Approve button, you'll be prompted to choose one of two options Submit Now or Submit with Binary. If your existing iPhone app is already supporting In-App Purchase and you're merely adding yet another In-App Purchase item to an existing list of offerings, then selecting Submit Now will send it directly to the review queue. If your In-App Purchase item requires an updated version of your iPhone application, then you'll want to select Submit with Binary to ensure that both products are reviewed together and go live in the App Store at the same time. Again, use compelling text and screen shots that will help readers understand the value that your application will provide and help those pages rank well in search engines such as Google and Yahoo . 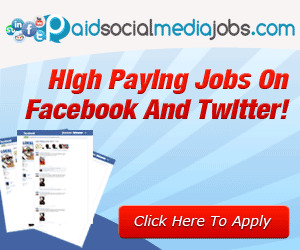 This is your chance to really use the search engines to create awareness for you application. If you can get the listing in the App Store and a listing on your website to both rank in Google search results, you will be doing a lot to drive traffic to your application, while also decreasing the traffic to competing applications. All the traditional search engine optimization strategies will help the promotional page on your site rank in search engines, so include the name of the application and top keywords in the title tag on the page and throughout the text description on the page. When running an Xcode debug build of your application on your test device, the Store Kit framework communicates with a special test environment instead of the App Store. If an In-App Purchase request is made, the Store Kit will prompt you to confirm the purchase. Then Store Kit will display an iTunes sign-in screen. Select Existing Account, and log in with your In-App Purchase Test User account. In this special test environment, successfully completing a transaction will return an order receipt, but no money is transferred, and no invoice is generated. What's happening here is that a quick call is being made to the canMakePayments method in Store Kit's SKPaymentQueue class. If a Yes boolean is returned, then the In-App Purchase feature is allowed on that device and the App Store is accessible. If a No is returned, then you can notify the users that they have In-App Purchase disabled via the button's Title label. Remember that initial state of the button was set to disabled in Interface Builder, so just leave it disabled for now, simply using it to communicate information to the user. When the payment request is delivered, the App Store prompts the user to confirm the purchase and then enter an iTunes account login. When testing your own app, this is where you select Existing Account and enter your In-App Purchase Test User email address and password. Making an iPad game doesn't have to be something that only developers do. 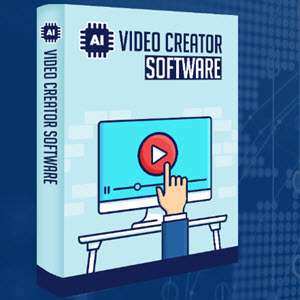 You too can create a game that will help to entertain the user and it will help to make you money. 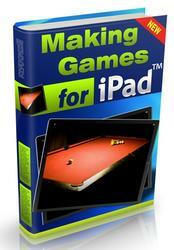 With Making Games for the iPad, you don't have to be a computer genius, but you will certainly feel like one.